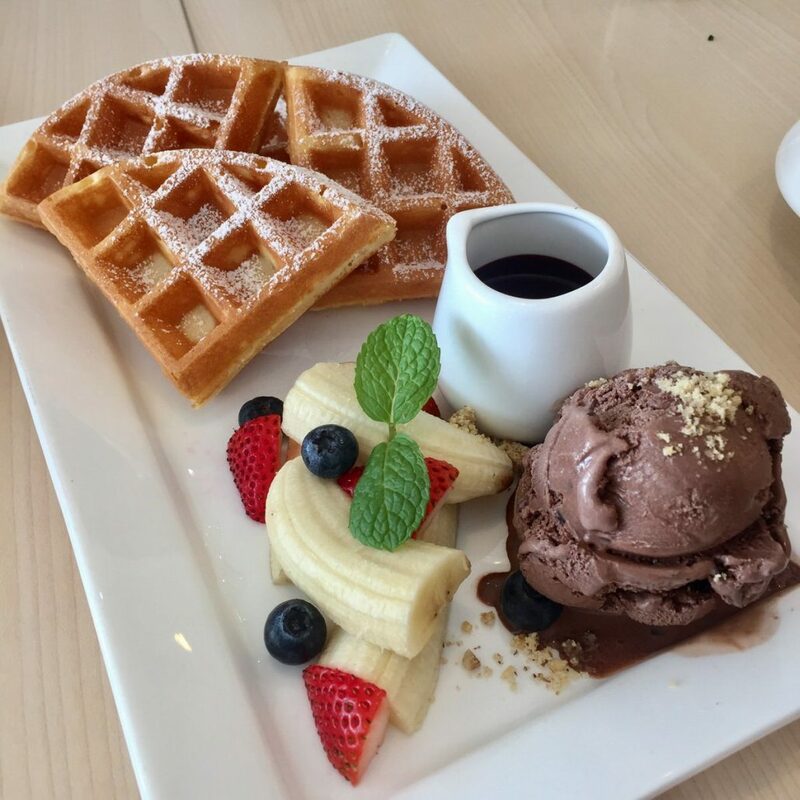 Located at Mount Austin, Johor, ‘Atlas Coffee Embassy’ is a simple and elegant café which served delicious brunch all day. However, we were quite disappointed with the availability of food on the menu. Craving for the egg benedict, we came to found that they ran out with hollandaise sauce to prepare the egg benedict. Nonetheless, they offer great food and drinks, and their staff are exceptionally friendly and polite. Feel free to ask them for recommendation on the food and even drinks! 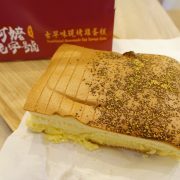 We recommend you to try the Atlas Specialty Breakfast and Mozzarella Cheese Stick! Atlas Specialty Breakfast allows you to create your own big breakfast according to your liking! You can create your all-star breakfast set with everything you like! There won’t be any food on your breakfast plate that you do not like! 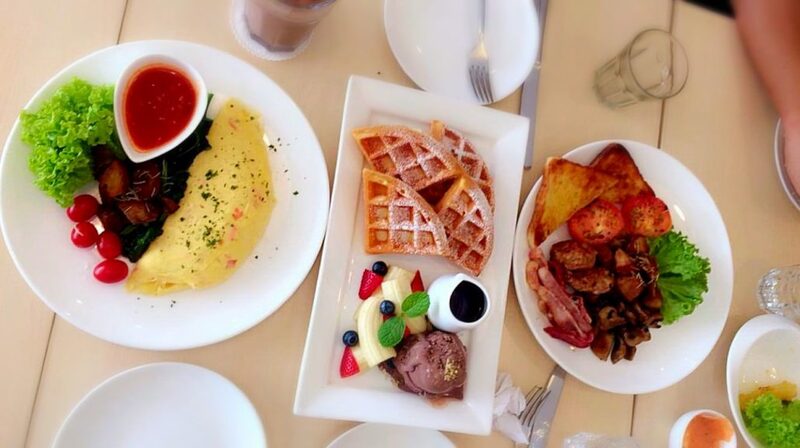 You can choose from 3 sizes: 3 items, 5 items or 7 items for your dream breakfast platter. 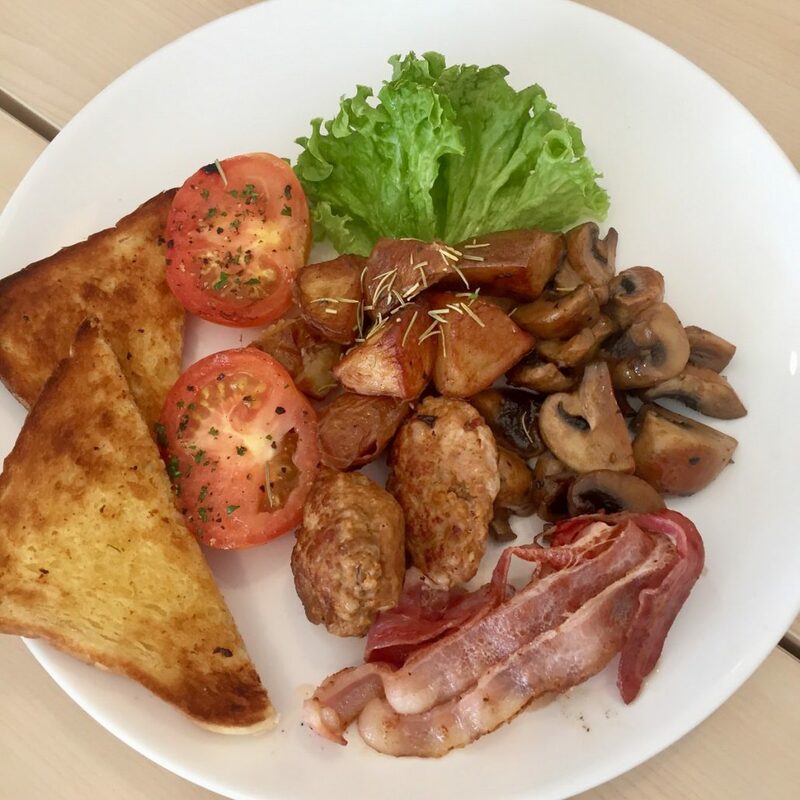 We choose 5 items (RM19.90): grilled tomato, baked potato, sautéed mushroom, bacon and pork sausage. The sautéed mushroom was flavorful and we love it! Very satisfied boy here posing with the cheese stick! 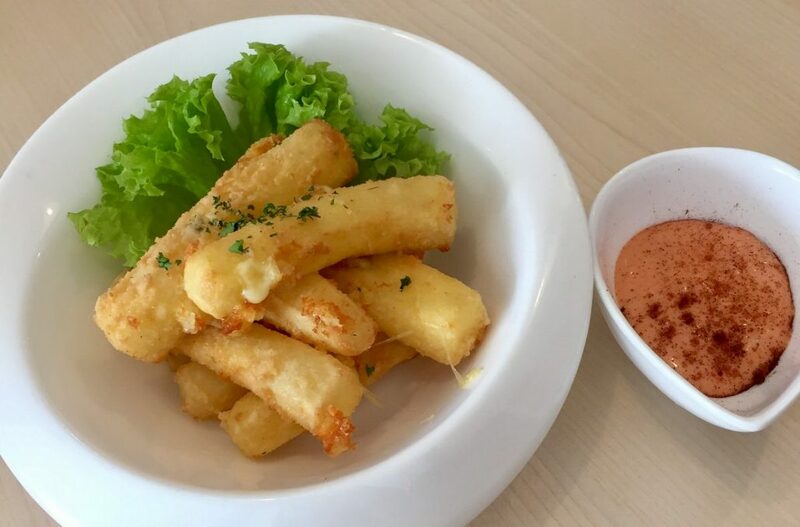 The Mozzarella Cheese Stick (RM19.90) served with in house special dipping was delicious! Ooey gooey mozzarella cheese covered with perfectly fried crispy golden skin. Three slices of brioche bun topped with homemade caramelized banana garnish with free fruit which cost RM21.90. 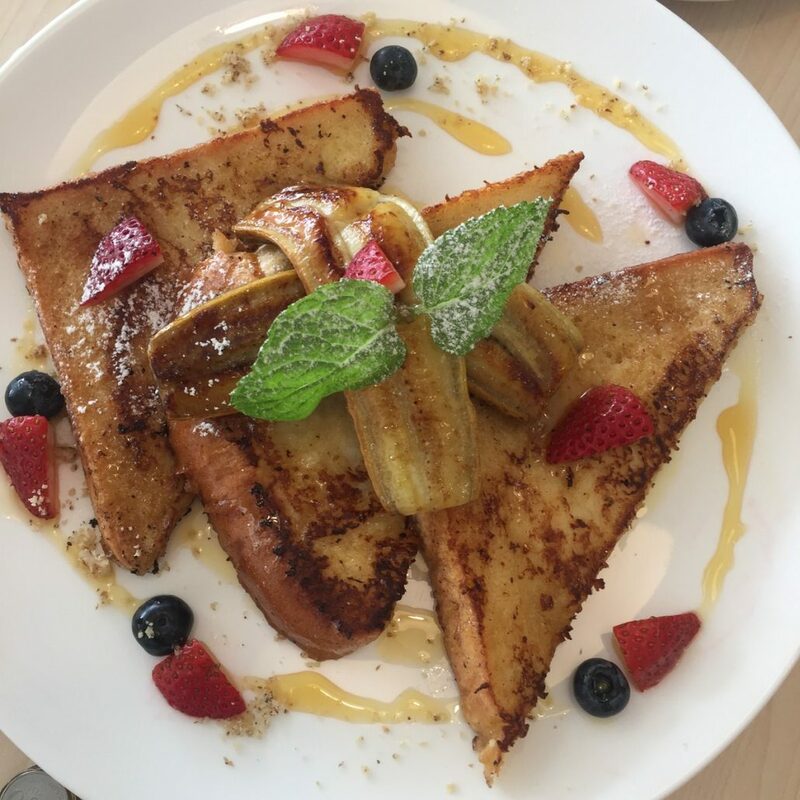 The texture of the French toast was cooked perfectly, not too soft or too hard! The caramelized banana caught my attention as you can eat it with the skin! 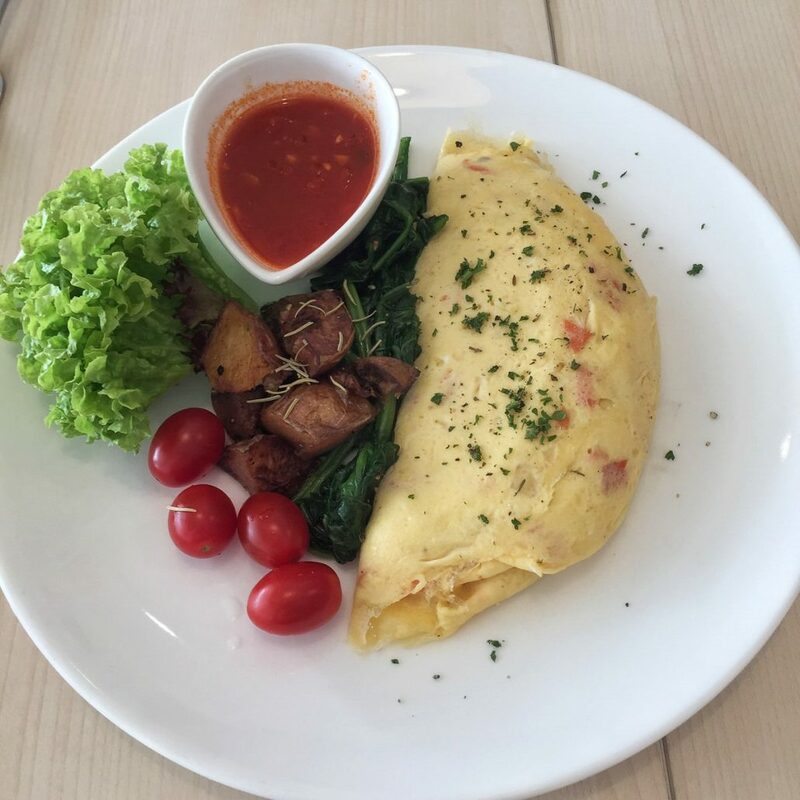 Hearty three eggs omelette with couple slices of smoke salmon, onions, tomatoes and sautéed spinach. (RM24.90) The smoked salmon was chopped a little too tiny to be tasted. The waffle wasn’t bad, just wasn’t that great either. The waffle was less crispy and a little too floury. The maple syrup went very well with the waffle! 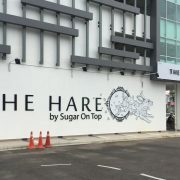 What do you think about the food here? Comments Below! 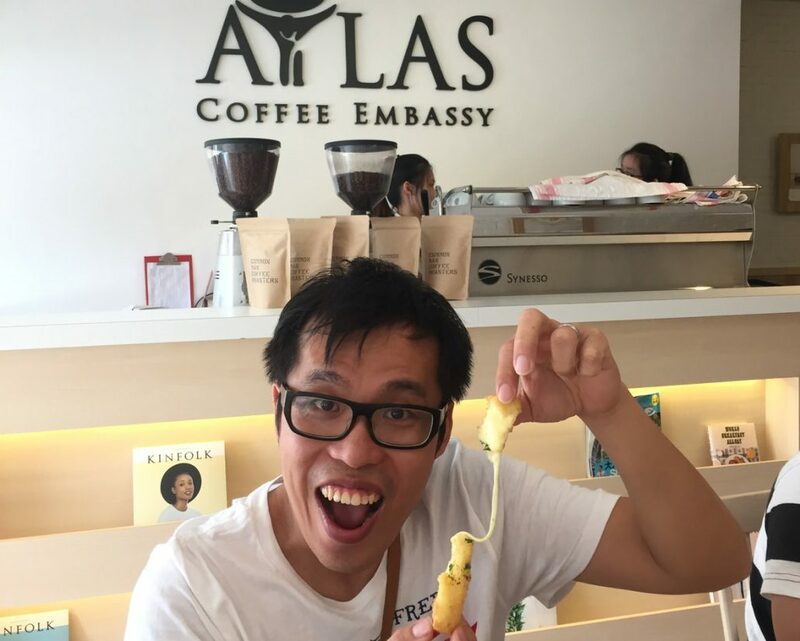 https://www.notchbad.com/wp-content/uploads/2016/11/Atlas-Mozzarella-Cheese-Stick-e1478585413818.jpg 783 1188 Jiaying https://notchbad.com/wp-content/uploads/2016/11/NOTCHBAD-logo-300x138.png Jiaying2016-11-08 14:46:442018-08-20 17:19:20Atlas Coffee Embassy - Create your own big breakfast!